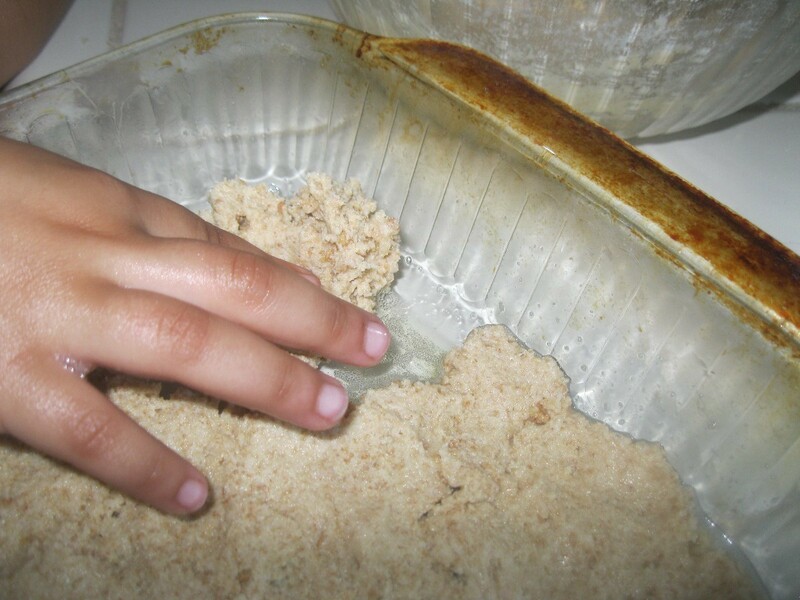 I've been making this recipe for years and years. It's my go-to recipe for gatherings, PTA meetings, etc. I bring it when it's still warm and gooey. It's fun to watch people's eyes roll back when they taste these. They aren't difficult to make. Well worth any effort, though! Total Time: 10 minutes, plus 30 minutes baking time. Yield: About 9, or more if you cut them smaller. Source: I have no idea where I got this recipe. Sorry! 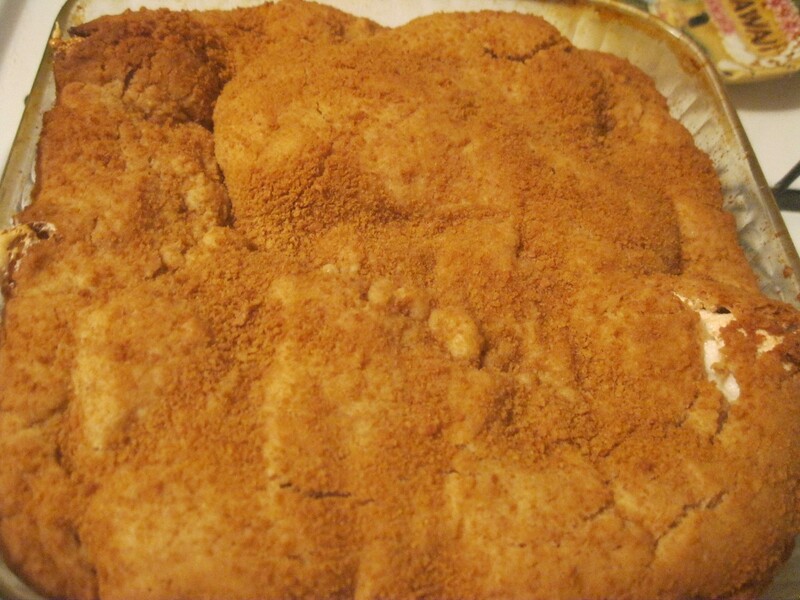 Coat an 8 x 8 inch baking pan with cooking spray. Set aside. 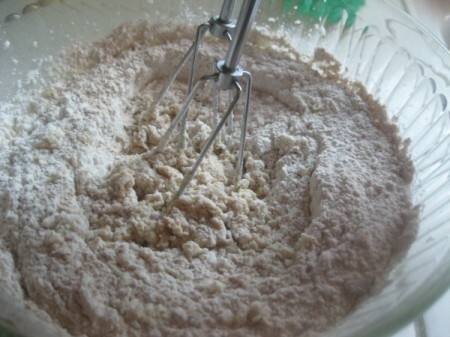 In a large bowl, beat butter and sugar with electric mixer on medium, until light and fluffy, for about 2 minutes. 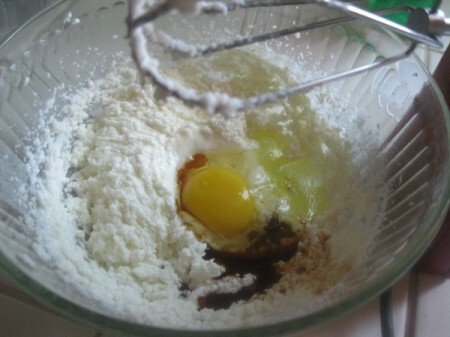 Add egg and vanilla on low, until blended. 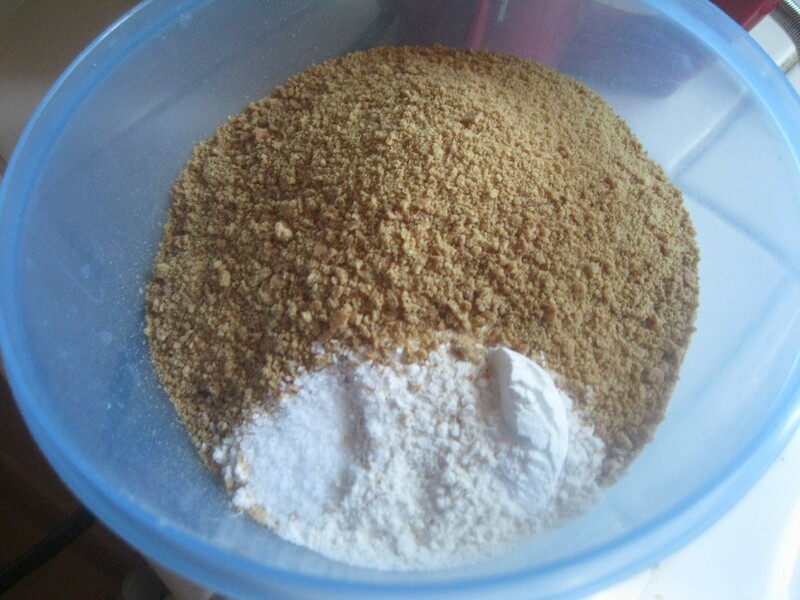 In a separate bowl, whisk together flour, graham cracker crumbs, baking powder and salt. 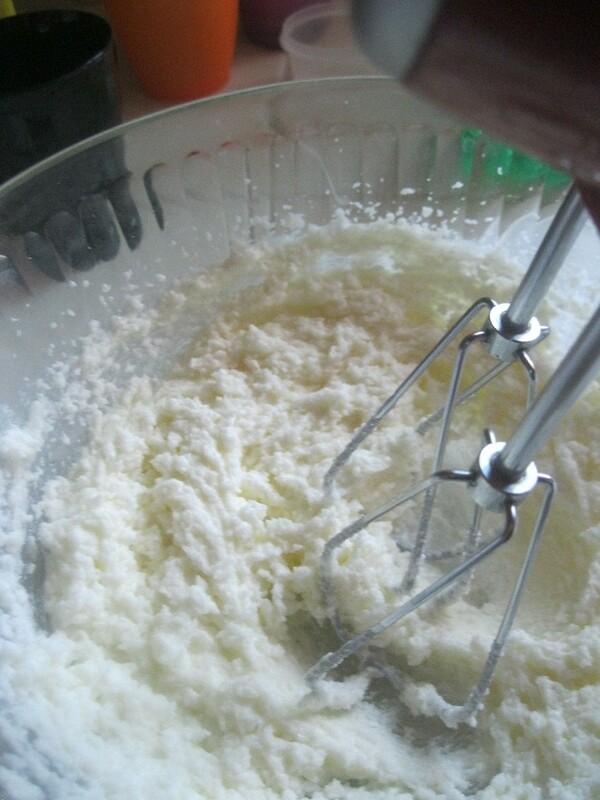 Add flour mixture to the butter mixture, beating until blended. 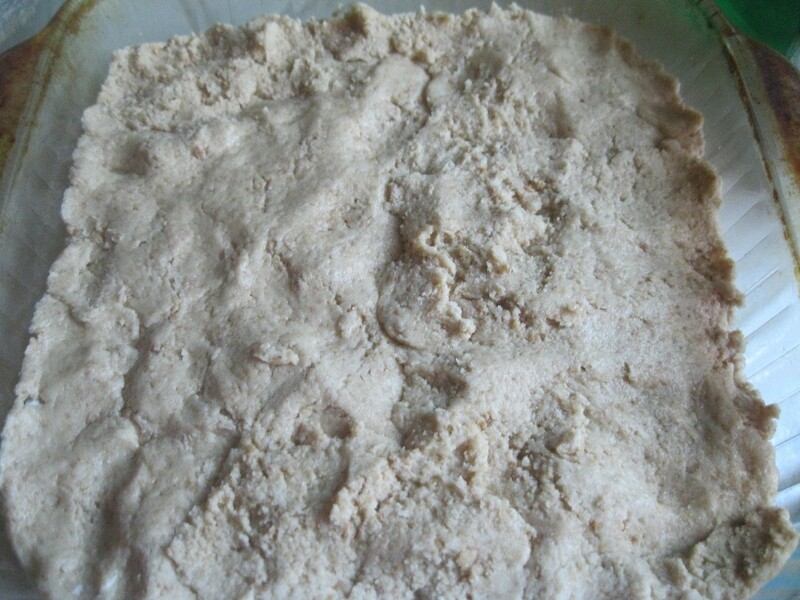 Take 1/3 of the dough and press it into the baking pan, in an even layer. 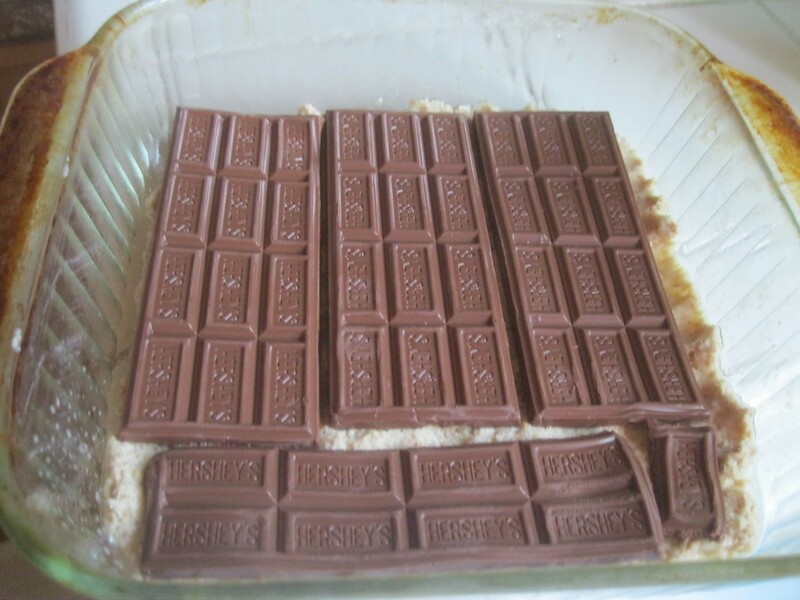 Arrange chocolate bars over first layer of dough. 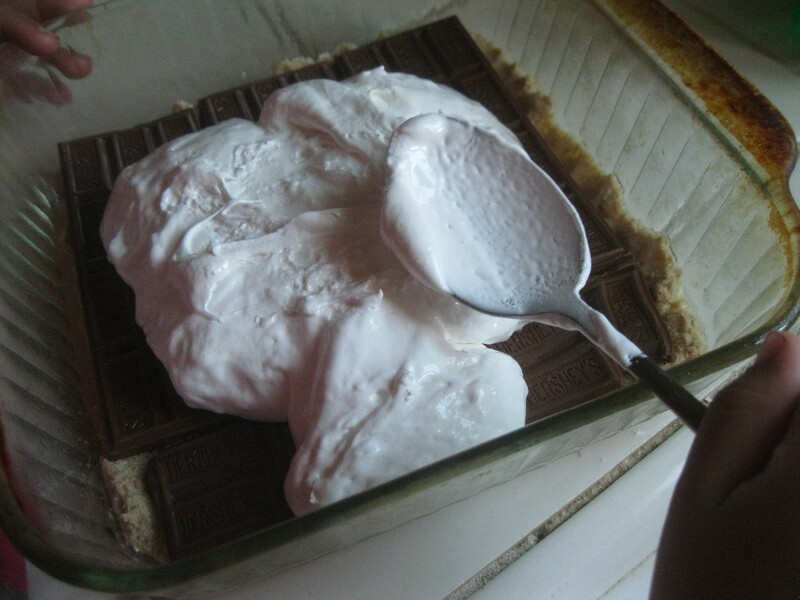 Carefully spread marshmallow creme over chocolate bars. It's a little tricky but it can be done! With the remaining dough, take a small handful and flatten it out between your hands. 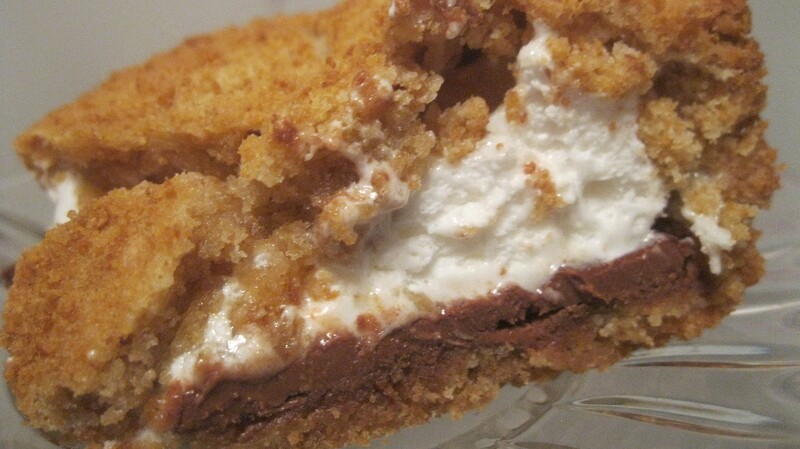 Place on top of the marshmallow creme. 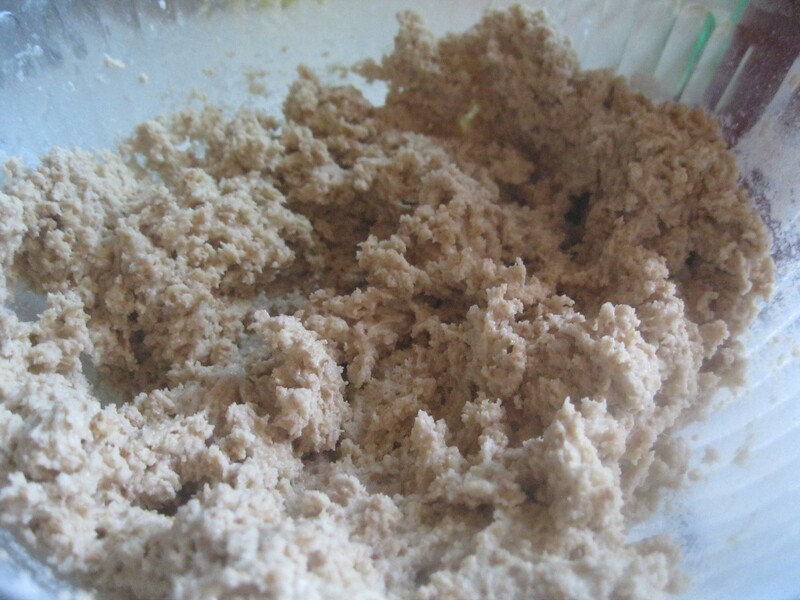 Keep flattening the dough until you have it all covered. 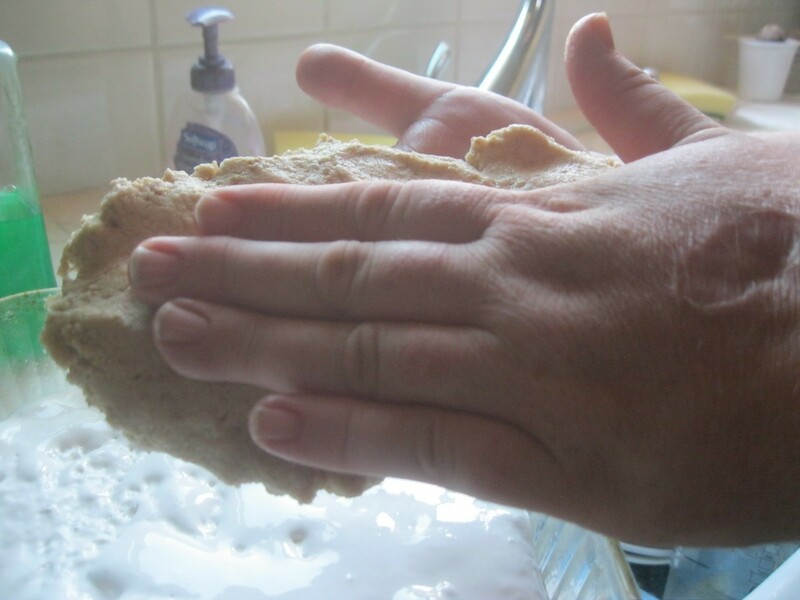 Try to make sure that there aren't any bare spots. The marshmallow creme will come shooting out of any cracks in the dough. 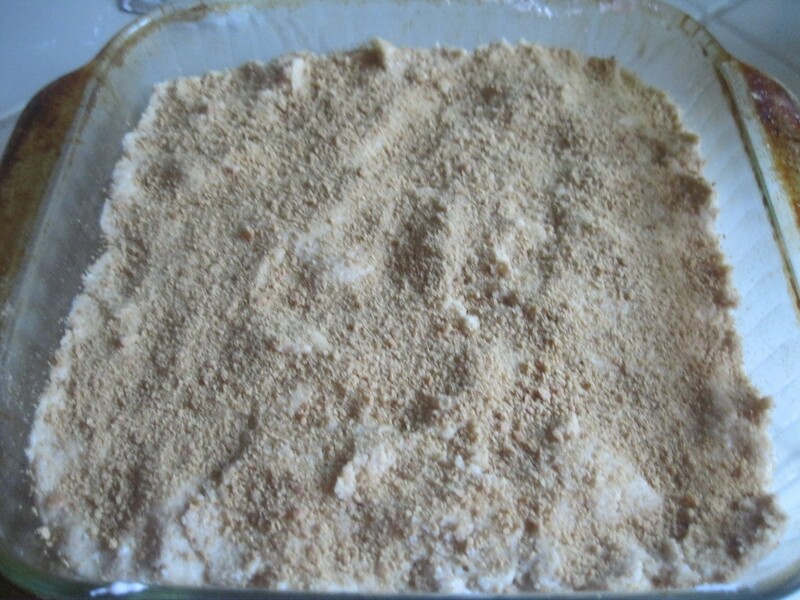 Optional: Sprinkle the top with any graham cracker crumbs that you may have left over. Bake 30-35 minutes until lightly browned. Let the bars cool for at least 15 minutes. They taste best while still warm. But, you can always heat it up later, if needed. This looks so scrumptious! I'll have to make this soon! Congratulations on winning the contest!